1Peter 3:15 But in your hearts revere Christ as Lord. Always be prepared to give an answer to everyone who asks you to give the reason for the hope that you have. But do this with gentleness and respect. Our story? We all have a story. We all have history. We all have reasons to why we practice our faith, to why we believe, to why we serve. So what is our story? While I know that I will not possibly be able to share our entire story with you in one single blog post, I want to highlight specific parts of our journey so that you can understand the reasons for our hope that we have in Jesus and why we choose to serve Him in the Dominican Republic. Who are we? I am Nicole Hoover and I live with my husband, Jason, and children, Ethan and Miriam in San Juan de la Maguana. We have lived here since November, 2016 and have been serving as Church of the Brethren Missionaries until this present time. We are originally from rural, central Pennsylvania and call Buffalo Valley Church of the Brethren our home church in the States. Before God called us here, I was an ultrasound technologist at an outpatient clinic and Jason worked on a beef farm. We loved our work in Pennsylvania, but God had other plans for our lives! Preparing our hearts: I believe that God prepared our hearts to hear and accept His call here. As I look back over our life events, I can see how he worked and knitted everything together to bring us to where we are today. We achieved the American dream (the house, the land, the vehicles, the kids, the jobs, the debt) when we were fairly young and as God worked in our hearts, we realized that He was asking us to give up those things and to live simpler. We sold our farmette in 2014 and then rented on the farm where Jason worked and lived debt free. It kept us open.. open to hear God´s voice. God´s call to serve internationally: It all started when Jason served on a short-term mission trip with Buffalo Valley COB in February, 2015. The team was supporting a Church of the Brethren construction project in San Juan de la Maguana. Jason found himself asking a lot more questions about things than he normally would. He was asking about relationships and ministries and things that he typically doesn’t get too involved in because he is a hands-on/construction type of guy. He returned to Pennsylvania and found that the Dominican people were constantly on his mind. One day, while working in the shop on the combine, he found himself forgetting how to turn a wrench because all he could think about was the DR. He stopped what he was doing and prayed: God, I don’t know what it is that you are asking me to do, but I am willing to do it. After that, he was able to regain focus on the job at hand. A few weeks later, he sat me down and told me that he thought that God was calling us to serve in the Dominican Republic. I was super apprehensive at first, but decided to be submissive to his call. We began to explore options to serve and submitted an application to serve as guesthouse hosts with Solid Rock and to serve with the Church of the Brethren. One night, after a video interview with SRI, I received confirmation in our call to serve in the DR. To this day, I do not know if this physically happened or if it was a vision/dream, but I felt the Spirit of God enter my body, squeeze my heart, and whisper in my ear telling me to get my family ready to move internationally. I sat straight up in bed. My heart was pounding and I was sweating. Jason was sound asleep next to me and in his sleep he said cuatro (Spanish word for four). Jason didn´t know Spanish and he is not a language guy at all! 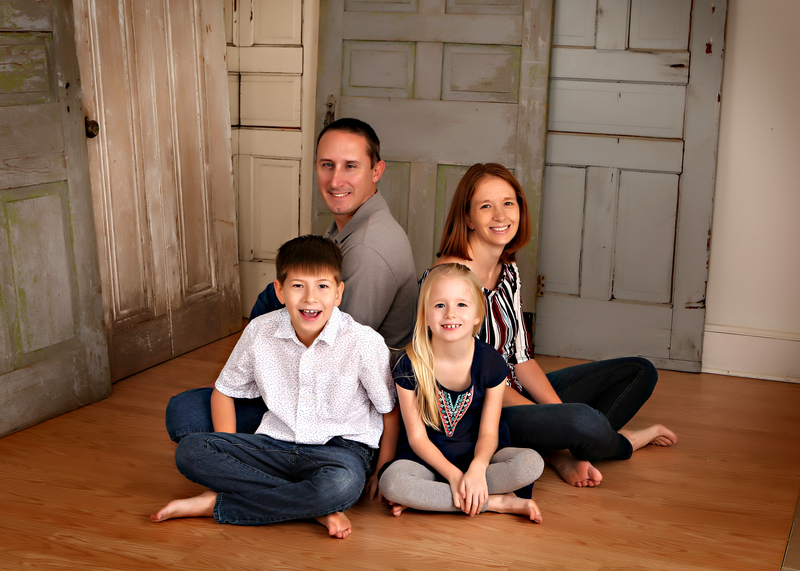 From that point on, I stopped saying that I was being submissive to Jason´s call to serve in the DR, but that our family was called to serve in the Dominican Republic. I try not to ever refer to my family as missionaries. All of Christ’s followers are missionaries. We are just ordinary people that God called to serve in another country that is not our birth country. We do not have any super powers. We simply chose to answer the call. After much prayer, we had decided to serve with the Church of the Brethren, but God kept us close to the Solid Rock ministry. We could have lived in several different places here in the DR, but the Church of the Brethren Council found us housing in San Juan de la Maguana. We humbly served and found ourselves experiencing so many God moments. We formed relationships with Dominicans and other local American families, which included some of the SRI folks. We spent time together from time to time. When the medical coordinator position had opened up, we again felt God’s nudging and decided to apply. So, here we are! Excited to learn, excited to grow, excited to serve the people here with all of you, and excited to be served ourselves! 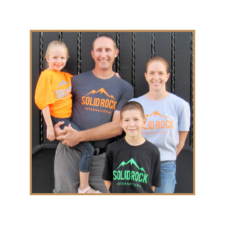 We are so glad to now be a part of the Solid Rock team serving under a ministry that we came to love and respect first as outsiders looking in and now as insiders looking out. We covet your prayers as we transition out of our old roles and into our new roles. We know that God is real and we appreciate every intercessory prayer that is spoken in our name. ©	2019 Jason & Nicole Hoover | Solid Rock. All Rights Reserved.